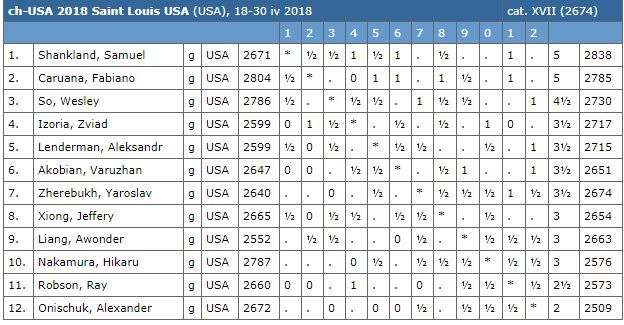 Fabiano Caruana defeats Varuzhan Akobian in the 7th round to share the lead with Samuel Shankland with 4 rounds to go at the US Chess Championship 2018. 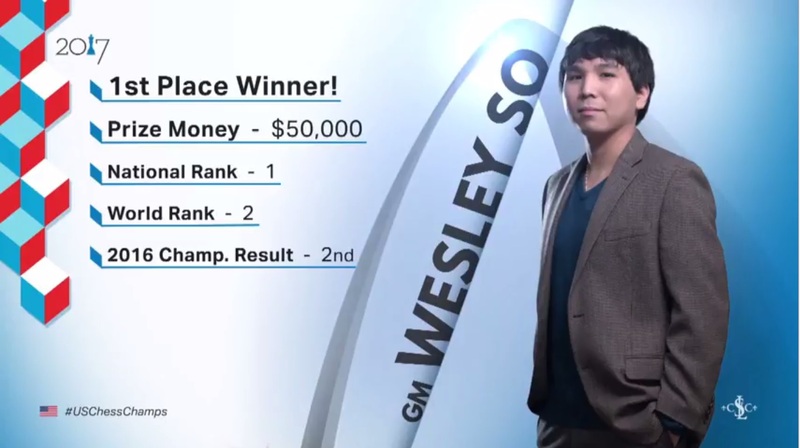 Wesley So trails at 3rd place with 4.5 points. 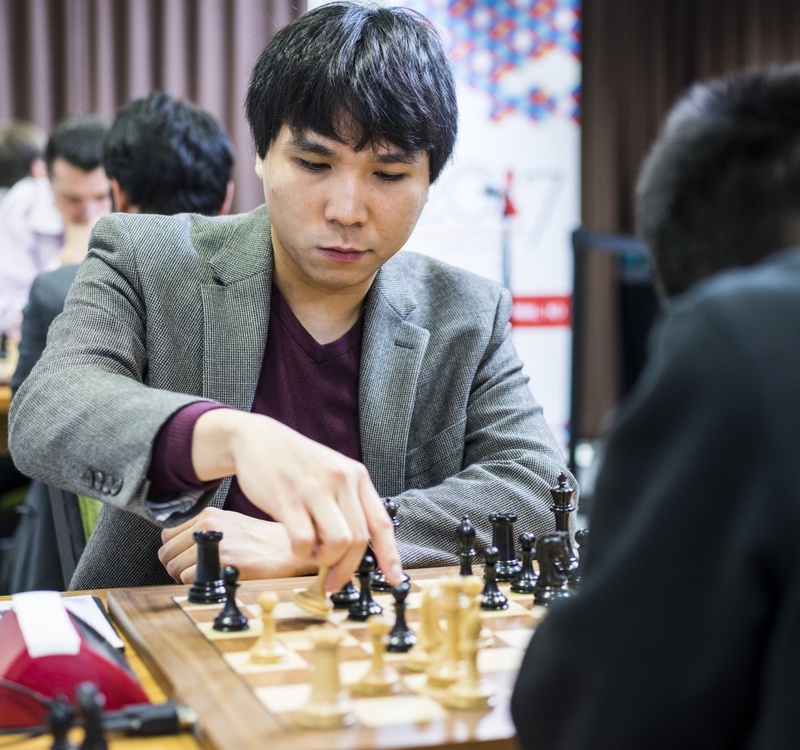 Wesley So and Alexander Onischuk were tied for first place at the end of the final Round 11. Two rapid tie-break games were all it took to decide the US Chess Champion for 2017 — no need for an Armageddon game. 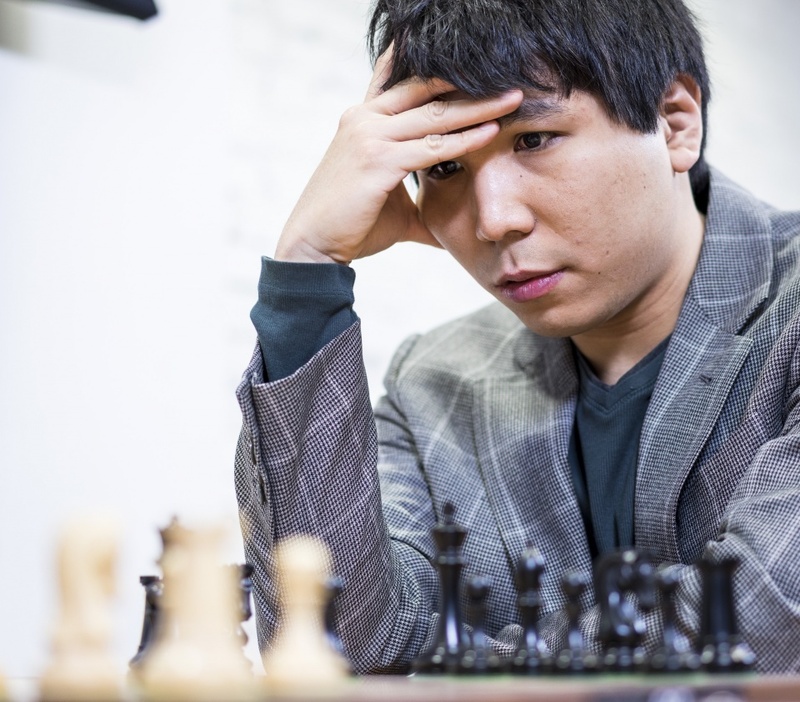 Wesley So won the first game after opting for complications in the middle game. Onischuk, being on time trouble from these complications, wasn’t able to hold on and succumbed to bad moves and lost. In the second game, Onischuk with white was up two pawns leading to the end game, but time pressure caught up to him again and So forced a perpetual check, and thus a draw. Wesley So settled for draw after a three-fold repetition against Daniel Naroditsky in the final Round 11 of US Chess Championship 2017 after just 14 moves. Wesley was so disappointed he was forced by Naroditsky to a draw, he hurriedly went out of the playing building and refused to give interviews. I did not force the draw, Daniel did. I was set for a long fight today knowing he needs a full point to get into World Cup. Shocked me that he forced the draw.. In this interview he explains his decision (needs to write his terms papers for submission Monday morning and does not like Berlin). Very upsetting but God will take care of me. 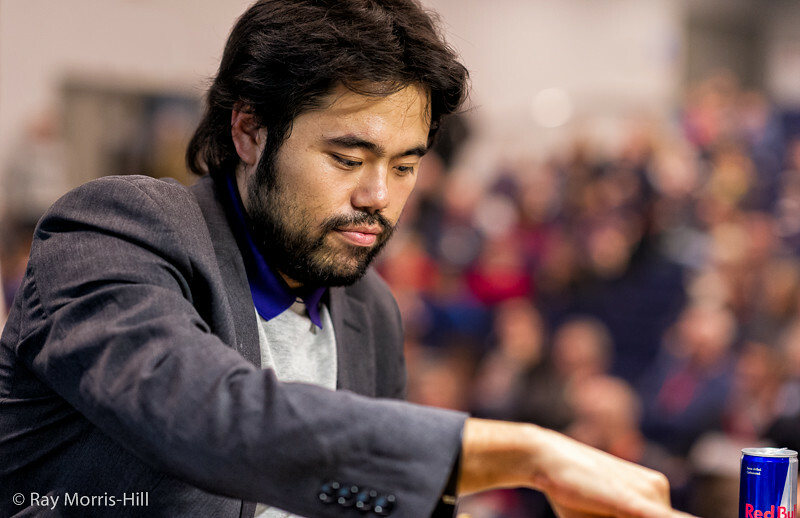 In Round 9 action of the US Chess Championship 2017, Wesley So won against Jeffery Xiong, while Hikaru Nakamura and Fabiano Caruana both lost to Alexander Onischuk and Varuzhan Akobian, respectively. Thus, at the end of Round 9, Wesley So and Varuzhan Akobian share the lead, with two more rounds to go. Most interesting is the match up between Wesley So and Hikaru Nakamura. Yaroslav Zherebukh wins against Fabiano Caruana in Round 7 of the US Chess Championship 2017, to join Wesley So at the top of the ranking. 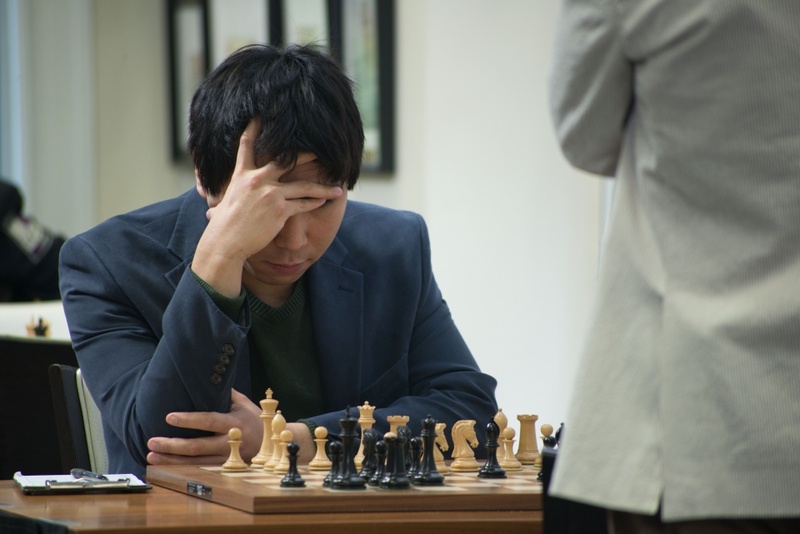 Wesley So, meanwhile, splits the point with Ray Robson in the same round. 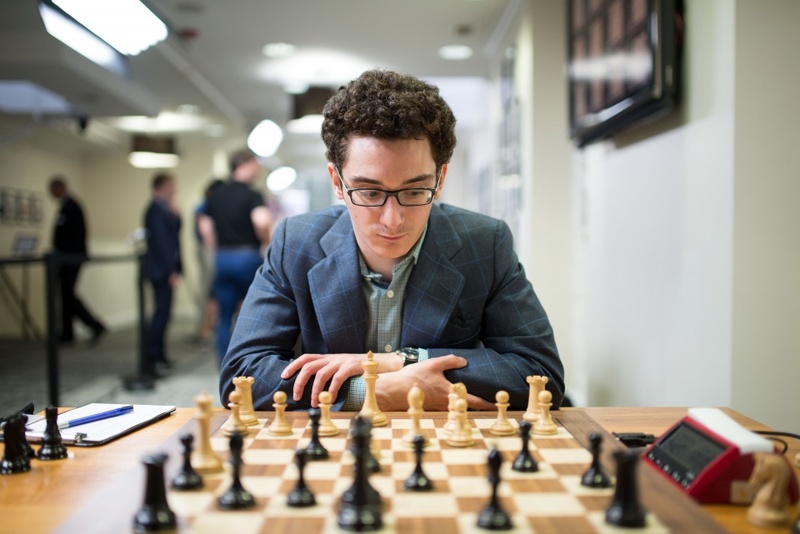 Fabiano Caruana clinched a win against Gata Kamsky in Round 6 of US Chess Championship 2017, to share the second place with 4 others at the end of the round. This is Caruana’s first win in the tournament. 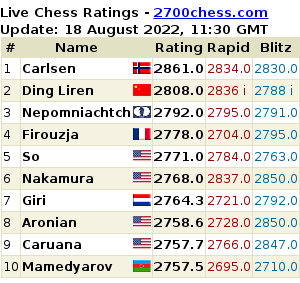 Wesley So still leads with 4 points out of six games. 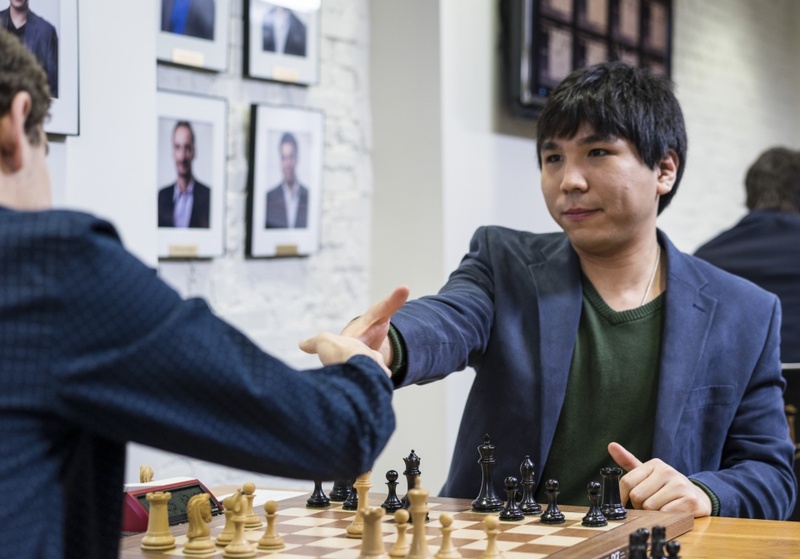 Wesley So drew his game against Yaroslav Zherebukh in Round 5 of the US Chess Championship 2017, to retain his lead going into the break day. This is the 60th consecutive no-loss game of Wesley So. Chess is the struggle against the error.